The international hotel group TPS EA’s listing on the Nairobi Stock Exchange enhanced its visibility and reputation and fostered its commercial development. Moreover, by opening its capital to the general public it has also met the targets set by the main shareholder – the Aga Khan Fund. However, the listing does not only come with advantages. The company must provide a high and regular level of profitability and cannot afford to take too many risks. Tourism Promotion Services (TPS) is an international hotel group that currently owns and manages 31 hotels, lodges and resorts in nine countries under the Serena name1. This success is mainly due to expansion, as the group’s Kenyan operations, initially named TPSL2, began operations in hotels and tourism in the early 1970s. Being the first major player to enter Kenya’s tourism industry, it played a pioneering role. The Aga Khan Fund for Economic Development (AKFED) has always been the major shareholder of the group, initially holding 66.7% of TPSL shares, but now holding 60.4% of TPS EA capital. It launched its initial project in collaboration with the Kenyan government, which contributed 33.3% to TPSL capital through the Kenya Tourist Development Corporation (KTDC)3. The TPSL group initially assumed investment and business risk through privately funded equity and debt, the ultimate objective being to spread ownership to the broader public once the business reached maturity. This strategy has been applied throughout the East African region. Success was achieved in Kenya by listing TPSL as a public company on the Nairobi Stock Exchange (NSE) in 1997. The group then expanded its operations in Tanzania and Zanzibar and in 20064, was restructured under the name TPS EA and listed on the NSE as a public company (TPSL was de-listed), with TPS (Kenya), TPS (Tanzania) and TPS (Zanzibar) as its fully owned subsidiaries. With its experience in African financial markets, TPS EA is, to date, able to draw up a detailed assessment of the performance of its listing. While listing has certainly provided TPS EA with many benefits, it has also resulted in some drawbacks. Both the benefits and negative implications will be discussed in the following section. Among the benefits, the listing has significantly improved the brand awareness of the company, making it easier to expand its activities. With its enhanced status, market visibility, brand awareness and improved financial standing after floatation on the NSE, the company has expanded and investor confidence among private owners has increased. By creating public awareness of the NSE listing, exposure in both local and regional markets has increased, and business performance and public perception of products and services have improved. Given that shareholders tend to support their own companies, business performance has improved even further. In other words, when suppliers and customers share ownership of the company, business opportunities increase. However, brand awareness not only expanded business activities, but provided the company with other benefits too. For instance, as a true market leader, the company is well represented in stakeholder groups, and along with other players, provides leadership in articulating the industry’s concerns. Therefore, this industry recognition creates a competitive advantage and reinforces the company’s position as a good corporate citizen. Due to the prestige and positive company image, TPS EA is able to attract and retain some of the most qualified human resources in the industry. In addition, management and staff realise that they have a much larger constituency in terms of stakeholders, which results in increased commitment and dedication. Finally, an indisputable advantage has been the increased publicity and improved perception of the group through the media and analyst reports. Interestingly, the case of TPS EA is unique as the company did not initially approach the market for capital increases. Rather, the ultimate objective of the TPSL listing was to spread ownership to the wider public. In 1997, TPSL was floated on the NSE through an offer for sale made by KTDC as part of the Kenyan government’s privatisation programme. In the offer, shares representing 23.3% of the issued share capital of TPSL were made available for the public to purchase. Listing thus creates an opportunity for small investors to buy the number of shares they can afford. This enables locals to share in the success of a company through dividends and stock price increases that may result in capital gains. In just a few years, efforts to further promote public participation within the group have been increased. When TPS EA was floated on the NSE, all AKFED companies and other shareholders, like IFC and CDC, waived their pre-emption rights in order to enable the local Kenyan population to acquire shares. As a result, public citizens are now among the major stakeholders of TPS EA, owning 26.87% of the shares. Being publicly listed provides companies with vehicles for raising funds by means of issuing new shares and other securities (rights, bonds, etc). In the case of TPS, raising funds was not part of the initial objective of listing, but being listed has provided the company with important financing opportunities. As an illustration, TPS (Kenya), a subsidiary of TPS EA, is currently pursuing the option of issuing long-term private bonds in Kenya for an amount of USD 12.8 million. It is also important to note that listing not only provides opportunities to raise funds through issuing bonds or shares, it also makes it possible for a company with a good track record to benefit from recognition from financial institutions when it comes to sourcing cheaper funding, and to have access to more competitive interest rates than non-listed companies. However, while opening shareholding capital to a wider public can be useful for a company to improve its access to funding, it can also be restricting. Companies listed on the stock exchange are expected to maintain dividend payout and profit growth trends year on year. This is seen as ‘the success criterion’ and can stifle dynamism, unlike non-listed companies that may take priority when re-engineering products and committing funds for expansion, and will accept lower profits and dividend pay-outs in view of the ‘bigger’ picture. By having a wide range of stakeholders, the company is continuously under pressure to comply with corporate governance legislation, the various regulatory bodies and best standards, to improve and to be totally transparent in terms of policies, procedures, standards, systems and reporting. The disclosure requirements of the NSE and the Capital Markets Authority (CMA) have led to the development of best practices in board and management processes and activities. In this context, the company adopted triple-bottom-line accounting, which incorporates not only expanding the traditional company reporting framework to take financial outcomes into account, but also environmental and social performance. Moreover, as the company is partially held by the public, there is increased accountability from these shareholders, meaning that additional obligations and reporting requirements of the company and its directors have to be met. Although, at first glance, the listing seems to provide benefits in terms of corporate governance, several drawbacks can be identified. One drawback is that important and sensitive information, useful to competitors, is available through the reporting of business disclosures. Another is that compliance with the higher level of reporting requirements, as per the regulations from the governing bodies, is a costly exercise. These requirements include providing all shareholders with a physical copy of the annual report, having an AGM once a year and paying annual fees to the various governing bodies and managing share registers. etitive edge and met the objectives of AKFED, which allows East African populations to share in the success of the company. Despite the numerous benefits of listing, it must be kept in mind that this operation is not lacking in drawbacks. In addition to those cited above, the low level of organisation and regulation of African financial markets must also be taken into consideration. For a quoted company, market forces driven by various factors affect the price of the stock. 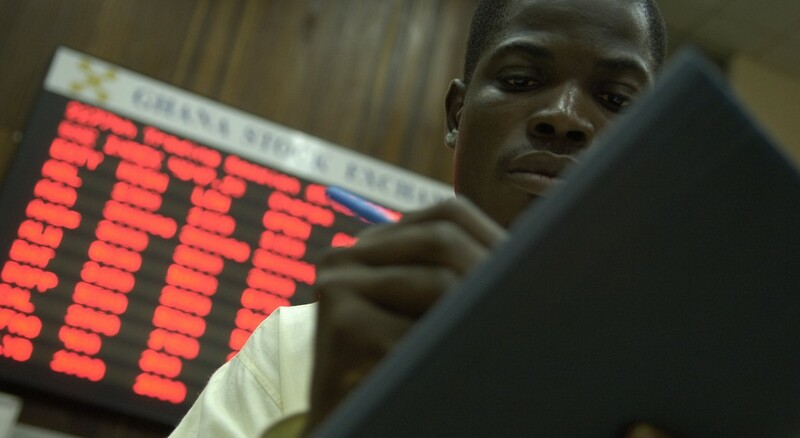 Given that stock exchanges in developing countries are generally less well regulated and organised than in developed countries, governing bodies have no mechanism in place to control share price and price fluctuations. Hence, the true value of a company is not always evident, as at times, it may be grossly under- or overvalued. 1 Kenya, Tanzania, Zanzibar, Uganda, Rwanda, Mozambique, Pakistan, Afghanistan and Tajikistan. 2 Renamed TPS Eastern Africa (TPSEA) during restructuring operations, which started in 2004. 3 At the time, TPSL also obtained a loan from the International Finance Corporation (IFC) to construct lodges and hotels. 4 Investment partners for this project included IFC, CDC Group Plc (formerly Britain’s Commonwealth Development Corporation) and the National Social Security Fund (NSSF) of Tanzania. The African banking sector is booming.